About Us – Field Drilling Contractors Ltd. 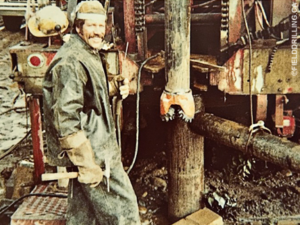 In 1971, Larry Field began his drilling career working under Buck Nelson at Pacific Water Wells. After 14 years of a lot of hard work and dedication, he became one of the most experienced and well respected drillers in the industry. 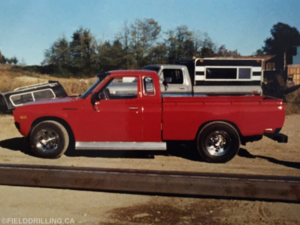 When Pacific Water Wells decided to scale back its operations in 1984, Larry purchased a Futros Drill Rig from Buck and started his own drilling company – Field Drilling Contractors Ltd.
Armed with the Futros Cable Tool, an old pipe truck and a shiny red Datsun, Larry started with a simple formula: work hard, do right by your customers, take great care of your equipment and always look after your crew. 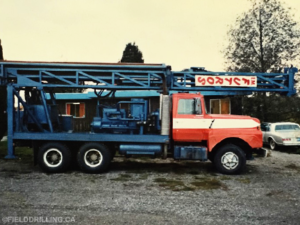 That formula allowed Field Drilling Contractors Ltd. to grow in to one of the brightest spots in the water well industry, with the largest fleet of Foremost Dual Rotary Rigs in British Columbia. Field Drilling Contractors now employs six Licensed Well Drillers operating seven Foremost DR-24 drills. 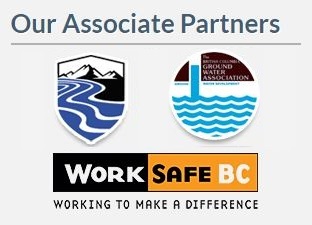 We’re proud members of the British Columbia Ground Water Association and our safety program and training comply with WorkSafe BC regulations.